Beyoncé is taking on a brand-new role this summer. The singer/mogul/Queen B has been everywhere in 2013 — the Super Bowl, the upcoming Made in America concert, every tabloid ever written — but she's now approaching unchartered territory: Children's content. As one of the voices in the new children's animated film Epic, Blue Ivy's mom lends her voice to Queen Tara, a woman who inspires the characters to go on and fulfill their destinies. Sounds like the perfect role for the singer who has made it her mission to inspire women. In addition to lending her voice talents to Epic, Beyoncé is also supplying a song to the soundtrack the inspirational-message-heavy “Rise-Up." But while the song seems to fit with the film, it's definitely not going to be Beyoncé's latest booty-shaker. This one relies heavily on inspirational clichés ("rise up," hello) and is a strange departure for the woman whose song and video for "Single Ladies" invited people everywhere to dance in celebration of singlehood. But perhaps it doesn't feel like Beyoncé because it isn't Beyonce. At least, not the Beyoncé that we know and love. 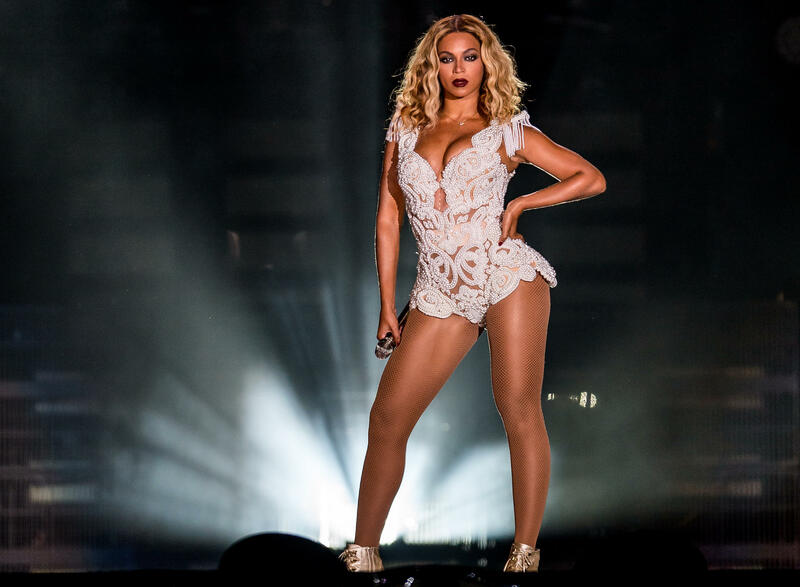 Beyoncé is worshipped by millions for her "independent woman" mantra and her bootylicious dance moves. Of course, most of Beyoncé's trademarks (while totally tame for most adults) are not necessarily marketed towards children. (While her "independent woman" message should be inspiring to young girls, we're not sure that parents are encouraging their kids to get inspiration from her scandalous Swavorski-covered bustier). But a watered-down, squeaky-clean Beyoncé also happens to be sort of... blah. And her song for Epic is hardly, well, epic — it's Beyoncé's voice but not Beyonce's soul, and it's obvious to any true fans of Queen B.